(CBSNews/AP, Updated Apr 9, 2018 7:28pm EST) – The U.N. Security Council held an emergency meeting Monday to discuss the suspected chemical attack in Syria. The attack killed at least 40 people, including families found in their homes and shelters, opposition activists and local rescuers said. The attack on the besieged town of Douma came almost exactly a year after a chemical attack in the northern Syrian town of Khan Sheikhoun killed dozens of people. The U.S. is urging the council to adopt a new resolution that would condemn the continuing use of chemical weapons in Syria “in the strongest terms” and establish a new body to determine responsibility for chemical attacks. It was circulated ahead of Monday’s emergency Security Council meeting. After a bitter debate full of recriminations and threats in open chamber, Security Council diplomats went into closed-door consultations to see if there was anything to salvage from the three proposals on a way forward, CBS News’ Pamela Falk reports from the U.N.
“The United States is pushing for a vote tomorrow,” a Security Council diplomat told CBS News. “The U.S. position was that they were negotiating in good faith but the world is watching for the Council to act… The U.S. said it took many of Russia’s concerns into account with its draft and was ready to work with all council members to find consensus on this issue, but that we need to move quickly,” the diplomat said. Diplomats leaving the meeting agreed that protection of civilians and an inspection of the site were the highest priority, along with assigning blame, Falk reports, in order to stave off a military confrontation. Peru’s Ambassador Gustavo Meza-Cuadra, as President of the Council emerged from the Council to tell reporters that the experts would be working to make a consensus document. President Trump blamed Syrian government forces for what he called a “mindless CHEMICAL attack” and warned that there would be “a big price to pay.” He said Monday morning that he would decide on a potential military response within 24 to 48 hours. The Russian military’s Reconciliation Center in Syria said it has sent officers into Douma to negotiate with the rebels there. It claims experts inspected the areas in Douma where chemical agents were allegedly used and found no trace of them. They also claimed they inspected Douma’s hospital and found no patients with chemical poisoning symptoms. The White House said Monday afternoon that the U.S. is “very confident” that the Syrian regime is behind the apparent attack. The Russian military denounced the White Helmets, opposition-linked first responders who reported the attack and the death toll. It called them “shameless rebel accomplices,” saying they made false allegations to derail a local truce. b) What is the U.S. asking the UN Security Council to do? 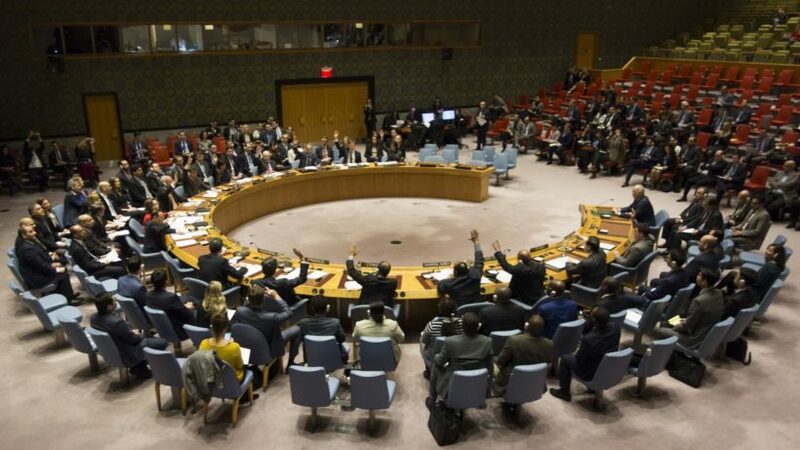 c) What is the purpose of the UN Security Council? d) What did President Trump say about the chemical attack on Syrian civilians? e) Who did the White House say is behind the attack? f) How did Russia (one of the 5 permanent UN Security Council members) react to the attack? If the UN refuses to act against Syria, do you think the U.S. should launch a similar targeted military attack? Explain your answer.